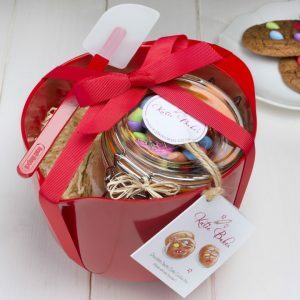 From colourful cookie cutters to complete baking sets, our gift range makes the perfect present or as a treat for yourself. 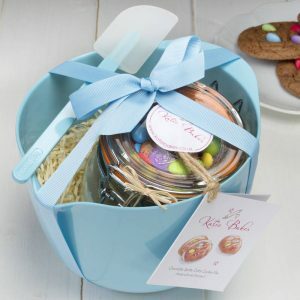 Please click on the product images to view full details and options. 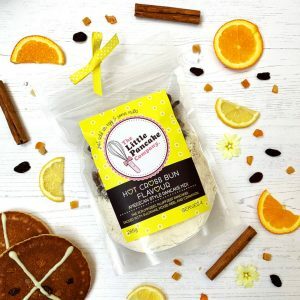 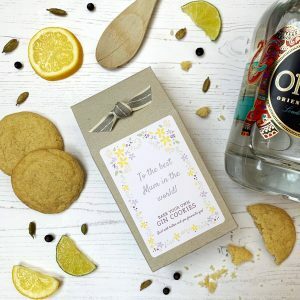 A bake at home Gin cookie mix. 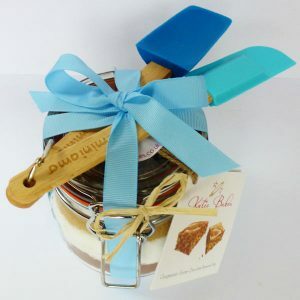 A great gift for anyone heading off to College or University to make them feel at home. 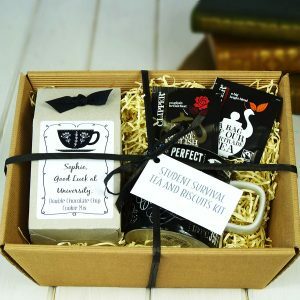 Our "Student Survival DIY Tea and Biscuits Hamper" contains a mug, Fairtrade tea and a foolproof mix to make delicious biscuits. 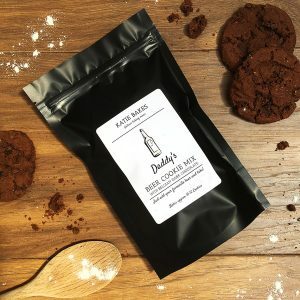 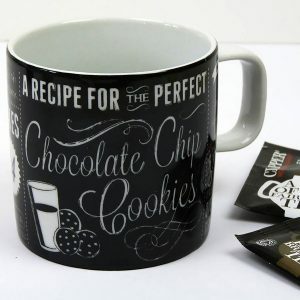 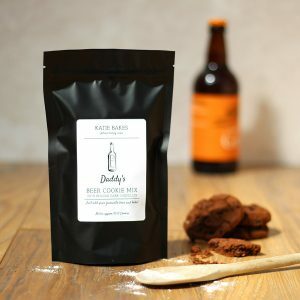 The perfect gift for anyone who loves beer and cookies, our personalised "bake at home" cookie mix creates deliciously rich chocolate cookies using your favourite beer. 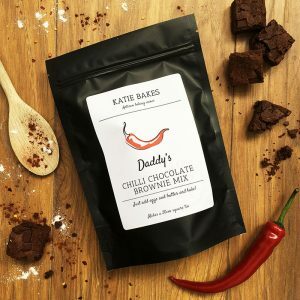 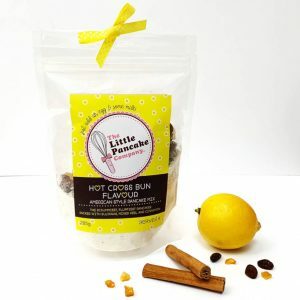 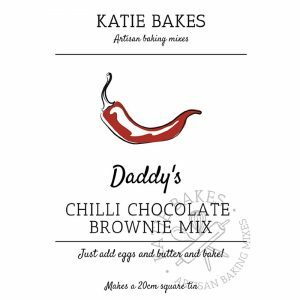 Our personalised and deliciously decadent Chilli Chocolate Brownie Mix is perfect for anyone who loves a bit of spice. 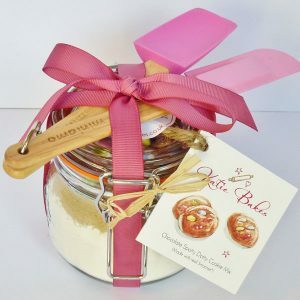 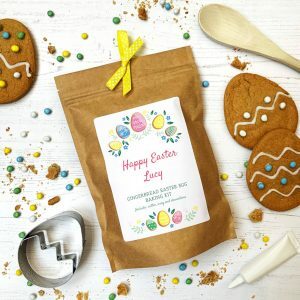 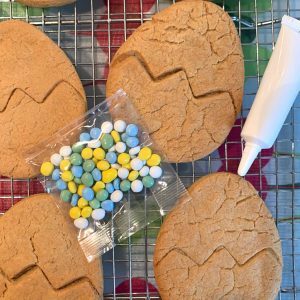 Our personalised Gingerbread Easter Egg Baking Kit includes a foolproof gingerbread mix, an Easter egg cookie cutter, icing and decorations for the biscuits.